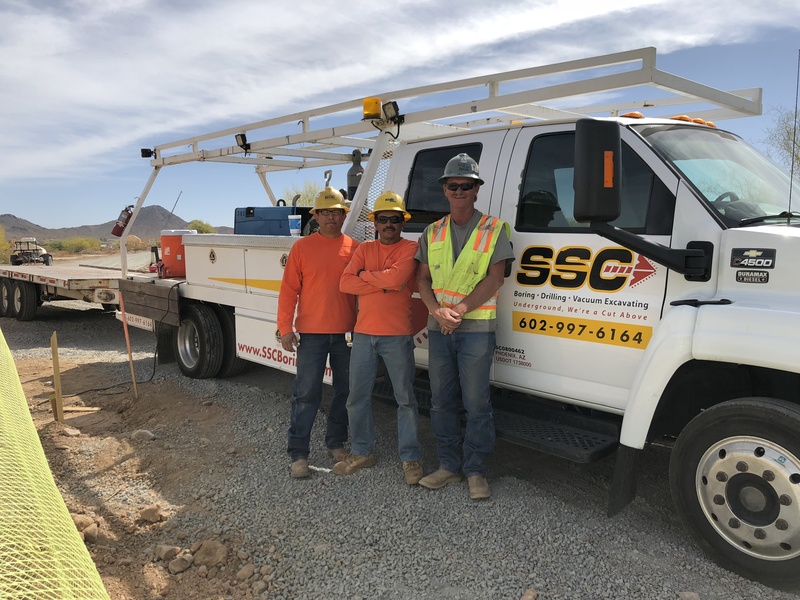 Specialized Services Company » SSC completes a waterline under North Norterra Parkway to help complete utility infrastructure for the master planned development. Home ⁄ SSC completes a waterline under North Norterra Parkway to help complete utility infrastructure for the master planned development. 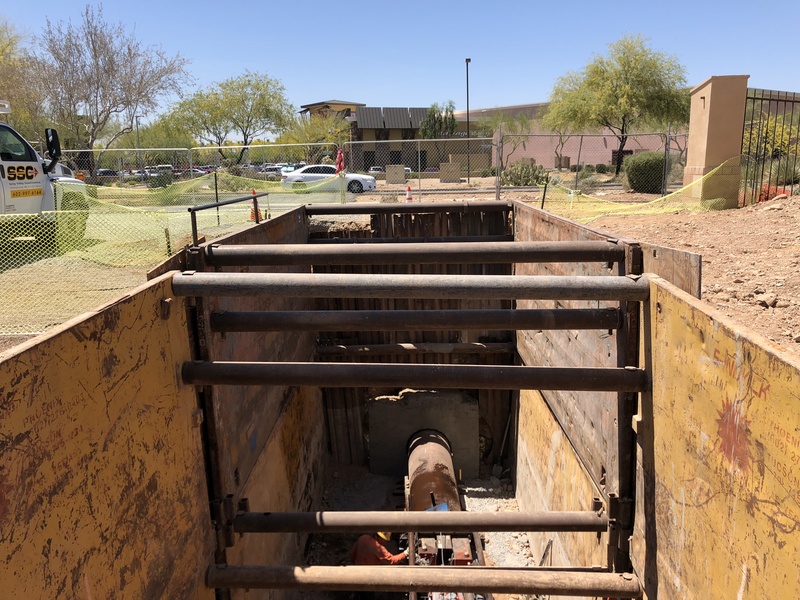 SSC Boring, Arizona’s leading underground construction and trenchless technology provider, recently completed work on a waterline for the new large upscale Norterra development in north Phoenix, AZ. 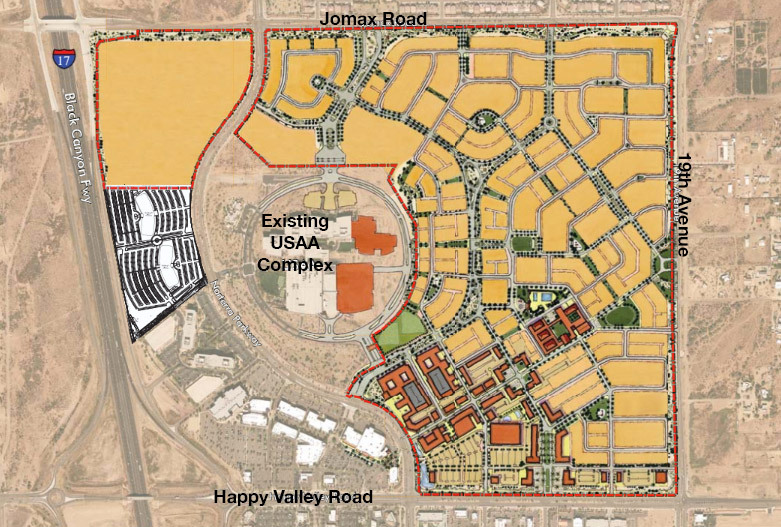 This new large-scale master-planned development, will be named Union Park at Norterra, and is expected to be an exciting addition to North Phoenix. This area will include a trendy main street, with shaded sidewalks, retail stores, lofts, restaurants, recreation centers, parks, and a town center with various activities. USAA, the owner of this future mixed-use community, needed a new waterline that would tap into an existing waterline already running under North Norterra Parkway, and deliver water to the new 300+ single-family homes being built on the adjacent parcel. A Small Boring Unit (SBU) was used to complete this project primarily due to hard-rock soil conditions. 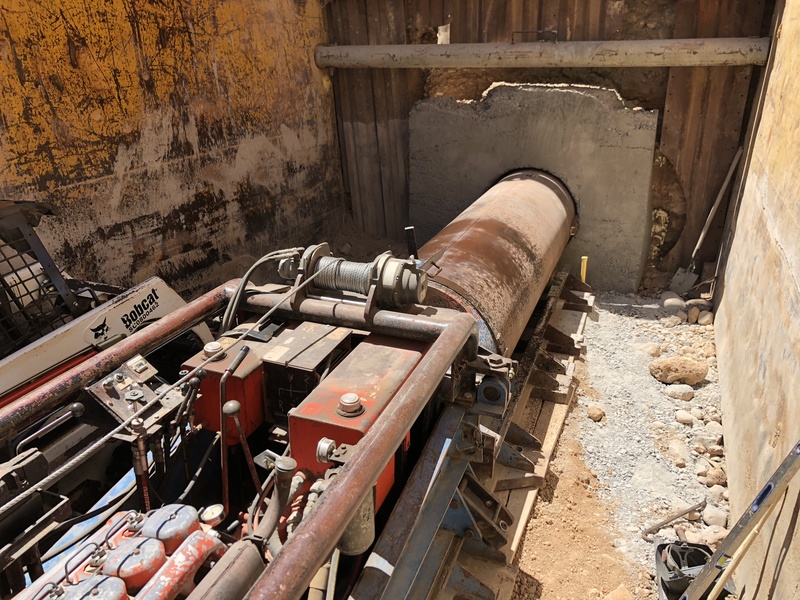 After excavating the bore pit with a track hoe, and shoring the pit with strong reinforced steel shore boxes, the SSC Crew constructed a concrete block at the base of the pit, where the casing entered the soil, to help guide the bore under the roadway and ensure grade accuracy. The owner will tap the waterline at the reception pit, and then continue building onto the waterline and extend it out as needed for their new home developments. Once complete, this new development will have up to 1,100 homes, 70 lofts, 900 apartments, 3.5 miles of hiking paths, over 300,000 square feet of retail space, and over 500,000 square feet of office space. SSC is proud to have provided a small but critical service to the owners of this Norterra development and we look forward to watching and being a part of the continued growth in North Phoenix.